In an era in which we are always connected and constantly bombarded by content across all of our devices, the pressure for brands to get our attention is on. Marketing can no longer be about throwing flyers out the window to see what catches. Marketing today has become pinpointed and accurately targeted. This is why it is common for a website nowadays to be designed to look into your location and browsing history in order to personalize your web experience. Travel sites are no exception. Depending on where you are searching for your next hotel from, the rate you are offered is likely to be different. If you are located in a low-income country for example, you are likely to get lower hotel deals than those accessing the site from a high-income country. How then, can you get the best out of your money no matter where you live? Fortunately, as savvy as marketers may be, there is a workaround and it involves the use of a VPN. In a nutshell, a VPN allows you to circumvent location monitoring and web tracking, which allows you to see prices usually offered to or available in other countries. You probably have noticed that whenever you search for something on Google, Google knows to show you results in or around your location first. Have you ever wondered how they do this? Google uses Basic Service Set Identifier or BSSID information from your WLAN Access Point to get your approximate location. Comparison and hotel sites basically do the same. Additionally, they employ a handful of methods to learn about your unique online habits. From there, they simply tailor hotel deals and/or prices based on this information. Tracking Your Cookies—Cookies are responsible for storing your browsing history. Let’s say you visit a comparison site to know about the different hotel and travel deals in a certain location. Your browser’s cookies will automatically store this information, enabling comparison and hotel sites to detect your search preferences. This is why you might feel stalked after searching for “vacation in Berlin” and suddenly seeing ads everywhere for hotels, flights, cars, and restaurants in Berlin. It’s called remarketing and it is one of marketers’ most clever ways to connect with consumers who already have exhibited the intention to buy. 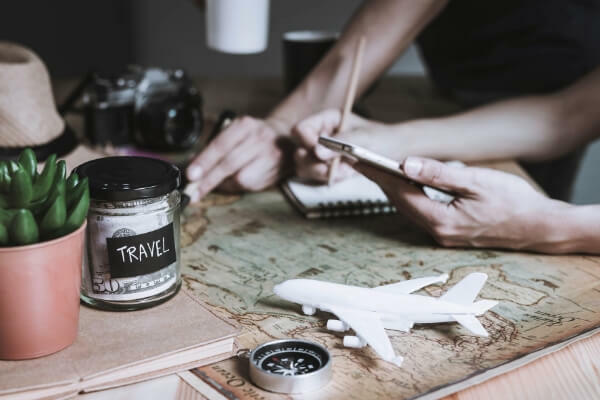 If a travel company notices that you are searching for hotels repeatedly, they know your chances of booking a hotel are high, so they will increase the price of all available hotels. Using Your IP Address—Also known as Internet Protocol, your IP is proven to be the easiest way to detect your location. And yes, travel sites know this. Depending on where you are located, these websites are able to present you with different hotel prices. Mobile Tracking—Remember that GPS feature on your smartphone? Well, it turns out it can pinpoint your location. So once you start browsing travel websites, your mobile device will feature different prices depending on the location. Tracking Your WiFi—If you allow websites permission, then expect your location to be detected via WiFi. Why does any of this matter? Because if you have the ability to stop these websites from tracking your online activity or location, you can easily change the prices offered. How Can a VPN Help You Save Money On Hotels? This is the part where travel savings come in. We already know that travel companies (e.g. hotels, travel discount sites, etc.) usually provide you with deals and/or quotes depending on where you are located, browsing habits, and even the local currency. In most cases, you would see different prices for the same hotel on the same dates depending on where you searched for it. A VPN, however, can totally change the game. A VPN essentially creates a “virtual cable” between a computer and a server. This cable, in particular, will be in charge of creating a tunnel that can encrypt any data that passes through it. Meaning, it prevents anyone—even hackers, governments, or ISP—from viewing your activity. depending on the server you are connected to. It also adds encryption and gives you a much better and more secure internet connection. More importantly, it gives you the ability to browse the internet anonymously and from various geo locations. Through a VPN, it is quite possible for you to find better deals and save hundreds of dollars on hotel bookings. Let’s say you plan to go to London around Christmas. Since the season is one of the most expensive times of the year, you know that saving money is going to be of huge help. In this example, we will use the luxury hotel The Goring. It is beautifully positioned next to Westminster Palace which is not only the hub of the United Kingdom, but it also sits right next to the very doorstep of the Queen herself. Your week’s stay at the hotel, with an IP address set to the country, can cost you roughly $795 per night. That is a boatload of money! But believe it or not, using a VPN can help you save over $300 per night. The very first thing to do is change the VPN to a different location. We chose Paris for our example. The City of Love may not be a cheap place, but the aforementioned price of the hotel was brought down to $583. That is a $212 saving for every night you spend on the property. So if you plan to stay there for an entire week, you can save more than $1,400. That is definitely a huge saving on a hotel deal, right? How Can You Save Money On Hotel Bookings Using a VPN? Start by clearing your cookies on your go-to browser. Connect to a VPN server in a different city, state, or country. Open a private or incognito browser window, so you can start shopping for hotel deals. Repeat this process until you find the best one. It is worth noting that you need to perform a couple of searches to find a discount on hotel deals with a VPN. And to make a clear comparison, do some searching without the VPN. This guarantees that you are indeed getting the best price. With this incredible savings you might be asking yourself if this is legal. Fortunately, there are no legal implications to using a VPN to book a hotel, and comparison sites actually do not care if you do. Yes, that is right—they have no problems with you using a VPN. At the end of the day, as long as you book through them they are happy campers. So if you are looking for a surefire way to save money on your next hotel booking, remember that your best course of action is to hide you location using a VPN. Read on our next guide in this series to learn how using a VPN can save you money on flights.